RGB LED products are quite common these days but taking the next leap forward is Beijing based manufacturer Deepcool who has not only integrated RGB lighting solutions on their current and upcoming products but has also liberated them from the constraints of exclusive wired control. 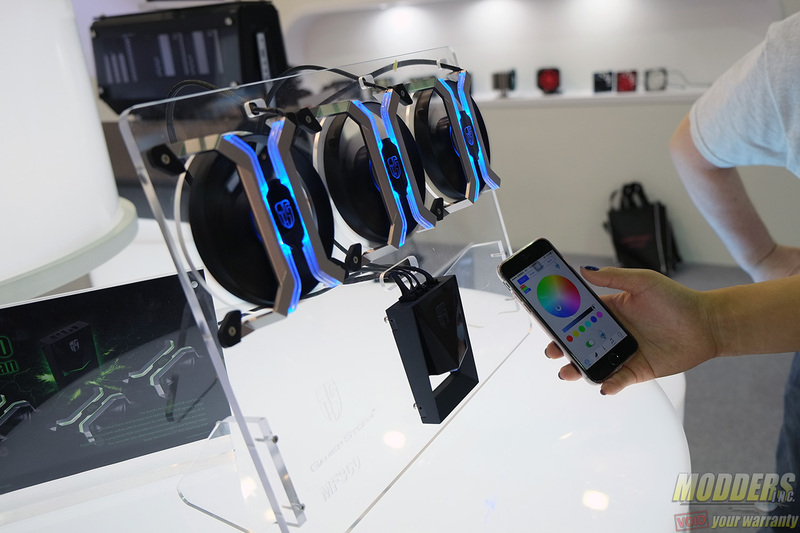 Demonstrating the capabilities on a smartphone, Deepcool’s RGB products can be altered remotely via Bluetooth on their exclusive App. 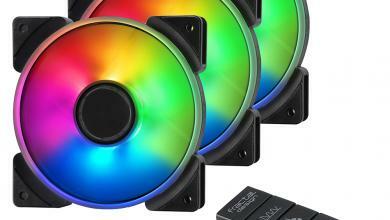 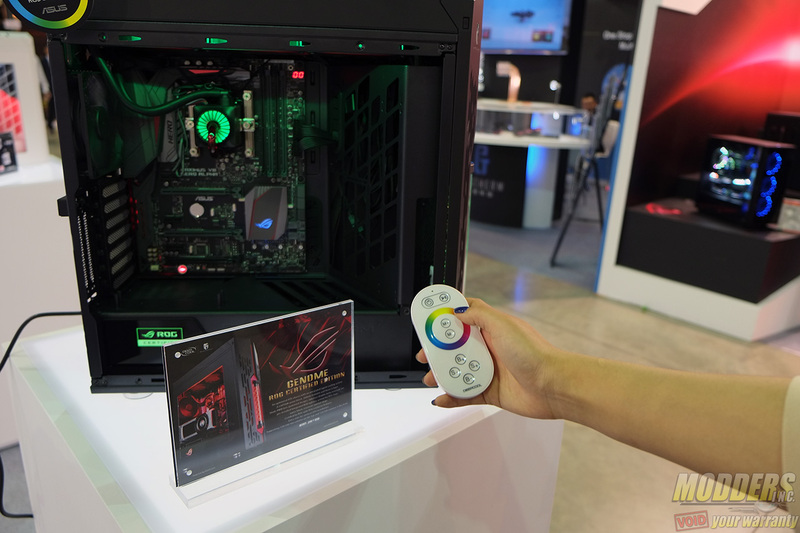 This is of course in conjunction with a special receiver but nonetheless, the demonstration was quite impressive especially on their latest set of semi-frameless RGB LED fans called the MF360, a solution which many modders are looking for. 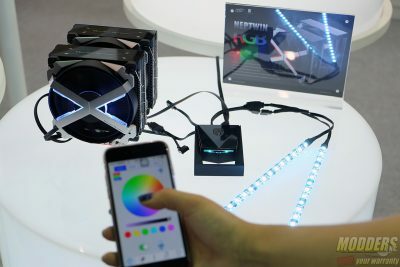 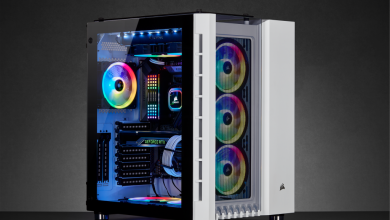 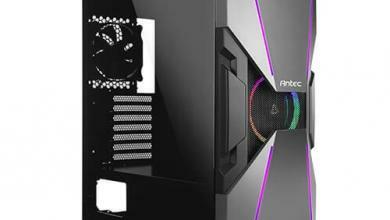 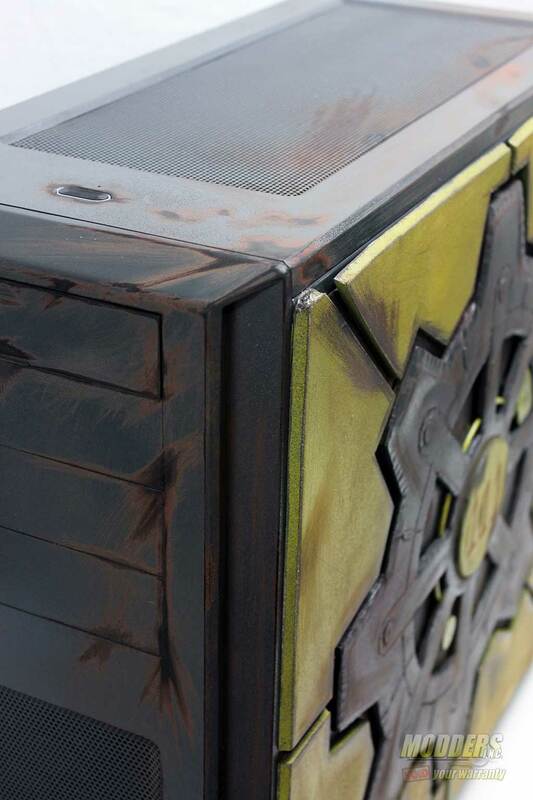 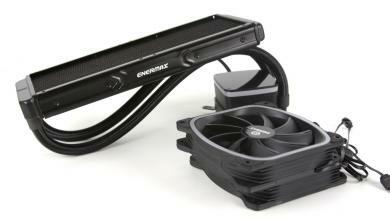 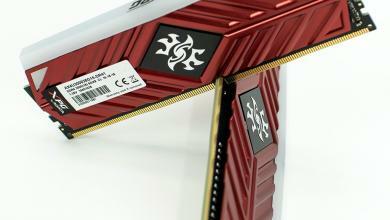 A new version of their dual-tower Neptwin CPU cooler also sported new RGB LED features using the same wireless controller. 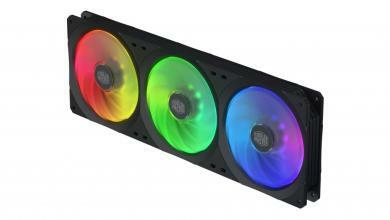 No final word on the Neptwin RGB pricing yet but the Deepcool MF360 fans are estimated to be around $69 MSRP for the set once it hits retail.